John J. Montgomery has an outstanding library and media center containing a wide variety of books, computers, audio-visual materials, and other equipment. As classes only have one scheduled 30 minute block per week to check out books, we are aware that Montgomery students read a lot, we are understand the need for extra book checkout opportunities. 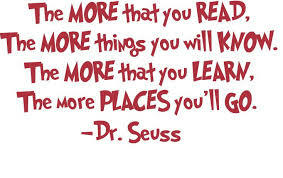 Students are invited to take advantage of the open library hours that are provided during recesses Tuesday-Thursdays. Students should refrain from using loud voices or running in the library at all times. Students are responsible for the library books they checkout. Overdue or lost books may result in a fine or suspension of library privileges. Students may not enter the library without the supervision of the Library Media Assistant. The Montgomery library has computers available for students to use during recess or after school. Students may use the computers to take an AR test or visit IXL. The library computers are available to students after school and/or during recess. Our library is always on the look-out for volunteer help to do all of the things we want to in our library. Stop by or email our librarian to find out more. Use the AR BookFinder to find out if the book your child is reading has an AR test. Most, but not all library books have an AR quiz. Accelerated Reader (AR), created by Renaissance Learning, Inc., is an individualized reading program used at John J. Montgomery to assess and improve each student’s reading skills and to increase reading enjoyment. Read the Parent's Guide to AR BookFinder to learn more. Once a month students from kindergarten through 6th grade are recognized by their classroom teacher for their fantastic effort in writing. 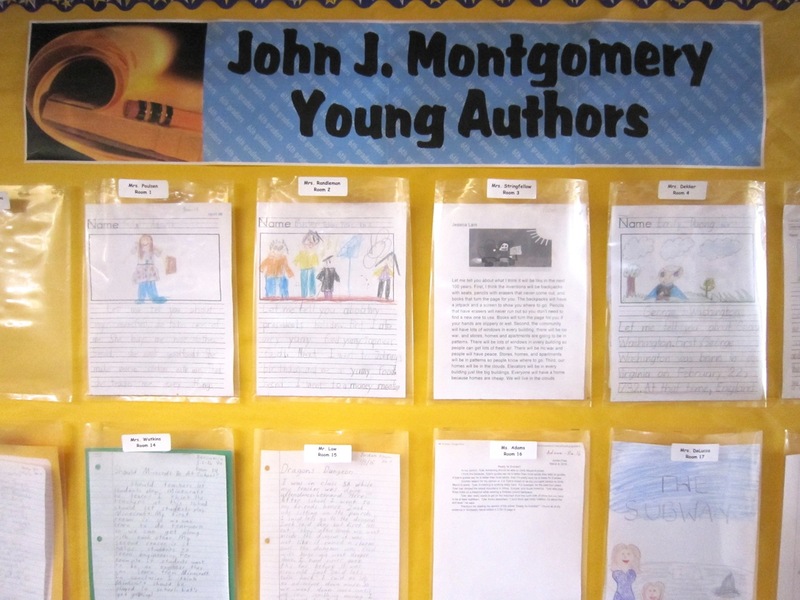 Parents and students are welcome to visit Montgomery’s library and view our display of young authors.